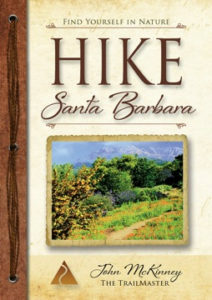 In an effort to connect proud residents and the 10 million visitors a year who visit Santa Barbara with the stunningly beautiful natural world nearby, John McKinney, aka The Trailmaster, is pleased to announce publication of the newly updated HIKE Santa Barbara: Best Day Hikes in the Canyons & Foothills, Santa Ynez Valley, too! The guide is a bestselling title in the Trailmaster Pocket Guide Series, created especially for hikers and designed to fit perfectly in the hiker’s pocket or pack. Some of the best hiking in Southern California is along trails through the mountain canyons right behind Santa Barbara and Montecito. The creekside paths, the mountain trails, and the marvelous views of the Pacific, the islands and “America’s Riviera,” add up to world-class walking. McKinney should know. As the Los Angeles Times hiking columnist for 18 years, he became an expert on SoCal trails and, as a 30-year resident of Santa Barbara, still regularly hikes his home mountains. From Seven Falls to Hot Springs Canyon to Figueroa Mountain, HIKE Santa Barbara shares favorite trails to Santa Barbara’s parks, preserves and special places. 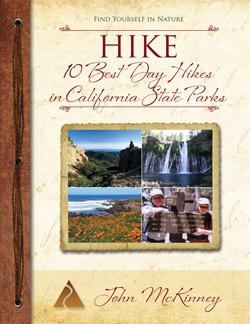 Discover waterfalls, wildflowers and a near wilderness close to town. HIKE Santa Barbara ($9.95) and other Trailmaster Pocket Guides including COAST WALKS Santa Barbara and HIKE the Santa Monica Mountains are available from REI and select retailers, Amazon.com and TheTrailmaster.com. 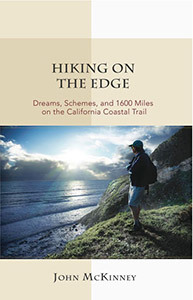 For more information about HIKE Santa Barbara, other books and talks by John McKinney or interview requests, contact Cheri@TheTrailmaster.com, 805-845-7102. 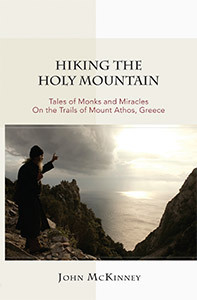 John McKinney, aka The Trailmaster, is the author of 30 books and a thousand articles about hiking. A passionate advocate for hiking and our need to reconnect with nature, John shares his expertise on radio, TV, online, and as a public speaker.